Last week, San Francisco voters rejected a ballot initiative that would have halted market-rate development in the Mission District. The proposed moratorium highlighted schisms in the community around the best way to slow the displacement that has made the Mission the gentrification poster child of the Bay Area. One side of the debate reflects traditional economic theory: increasing housing supply should reduce housing prices, so any restrictions on construction will be bad for everyone; rents will rise and displacement will continue. In a strong market with intense demand, proponents of this view argue that the only way to maintain housing affordability is to produce as many housing units as possible. Otherwise, the demand pressures will drive up rents for everyone and lead to wealthier newcomers replacing long-term residents who can no longer afford to stay. On the other side of the debate, opponents argue that new development can transform a neighborhood’s image and increase its appeal, leading to even more new residential demand and further increasing rents. For example, advocates have fiercely opposed a large development at 16th and Mission streets, fearing that its appearance and symbolism will accelerate gentrification in the area. In this case, the luxury condominiums proposed would “literally overshadow” the Latino students attending Marshall Elementary School next door. An analogy from transportation engineering explains this argument. When new highways are built, induced demand often occurs: as new capacity becomes available, latent demand surfaces, and the highways quickly become congested. Given the unmet demand — not just locally, but globally — for San Francisco real estate, new construction will simply induce more to come. For the most part, our research supports the first side of the debate: new construction can help alleviate pressure on the neighborhood, albeit just a little. The data show a slight positive relationship between development and affordability in neighborhoods: the more market-rate development, the more naturally affordable units remain (these are housing units provided by the market–not subsidy–where low-income households pay 30% or less of their income). Indeed, our analysis shows much of the new construction in San Francisco has taken place in neighborhoods that have lost relatively little affordability. Given this effect, we can’t assign blame directly to new development for rising rents. But even if the rules of supply and demand roughly apply in the aggregate, the Mission stands out because of decades of extreme pressure on its housing stock, with very little new construction. The major demographic changes in the Mission happened during the dotcom boom in the late 1990s and early 2000s. Consistent with what we know as gentrification, the portion of residents with a college degree increased from 24% in 1990 to 30% in 2000, to 52% in 2013; over the same time period, median household income increased from $46,749 to $70,199, to $76,762 (in 2013 dollars), and the proportion of white residents increased from 31% to 33% to 43%. Meanwhile, the number of housing units naturally affordable to low-income residents decreased by 2,402 units in this time period, leaving only 63 units remaining in 2013. There is currently a pitched battle between high-wage newcomers and existing residents over the few units available. The rent-controlled stock is particularly at risk because landlords can take advantage of vacancy decontrol to raise rents to market-rate when tenants leave — and when this departure isn’t happening voluntarily, they use various tactics to push tenants out. Strengthening eviction policies could limit these effects. In addition, rent control could be applied to all units built before 1995, rather than 1979, as is the case in San Francisco. 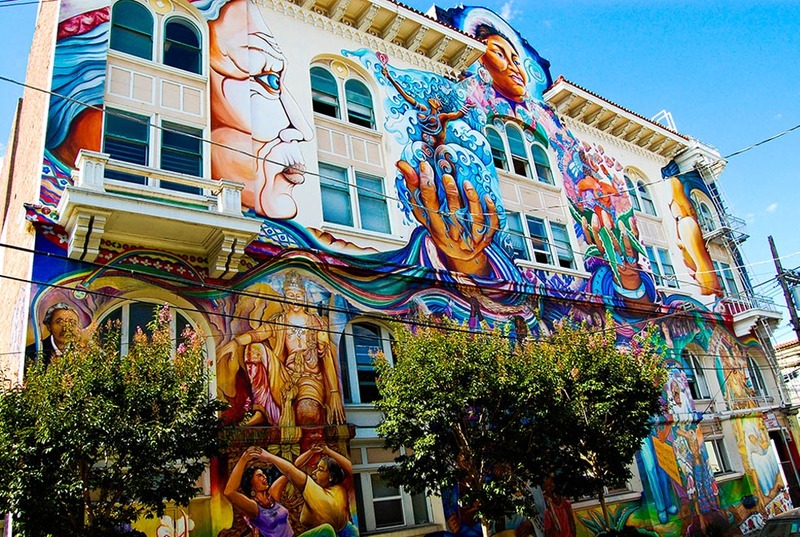 This would result in nearly 2,000 more units becoming rent controlled in the Mission. On the affordable housing production side, the Mission is already host to a sizeable stock of subsidized housing: nearly 2,000 units. However, this has not been enough to retain the low-income population there. As the map above shows, the Mission has lost many naturally affordable units in recent years, but seen little new subsidized development. Meanwhile, inclusionary housing has produced only 136 units in the Mission in over twenty years and this policy’s future impact will be limited due to legal challenges. What else can be done? In addition to stronger policies to preserve existing naturally affordable housing, increased subsidized housing production is key to protect even a small portion of the low-income community in the Mission from displacement. While the moratorium on building didn’t pass, voters did pass new affordable housing funding measures last week–these can help the Mission and other areas like it. For example, Prop A will allow the city to float $310 million in bonds to fund affordable housing; $50 million of that is intended to focus on the Mission. With these policies in place, building new market-rate supply might actually help alleviate some of the pressure on the Mission.